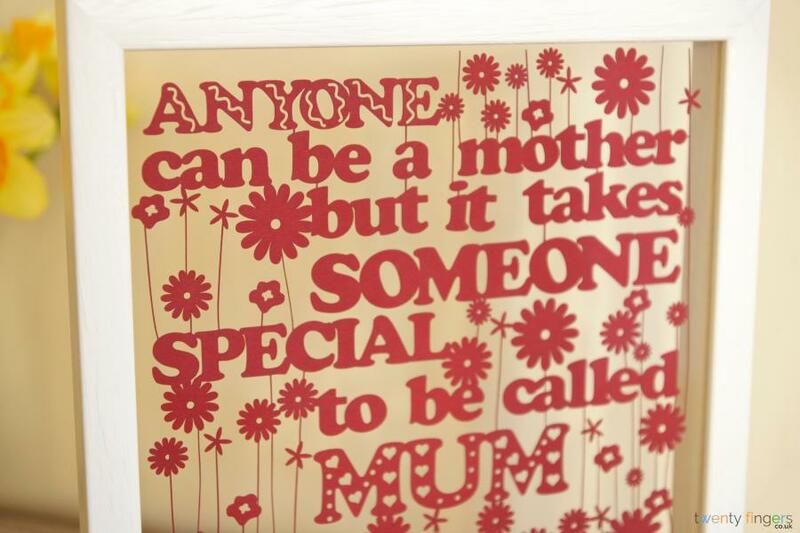 Want to give your Mum something really special to show how appreciated she is but struggling to pick out something that perfectly expresses how you feel? 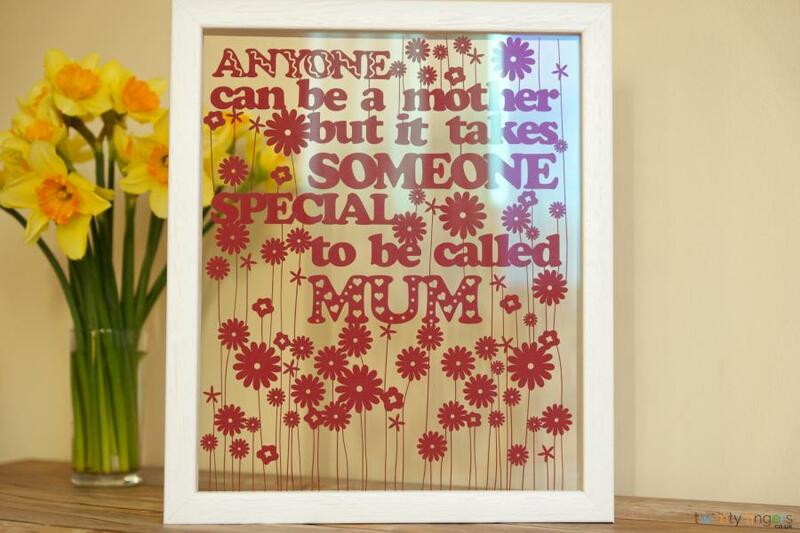 We think this elegant papercut says it all – sometimes it’s the simple things that make the most impact – and this piece is sure to make her well up with happy tears. 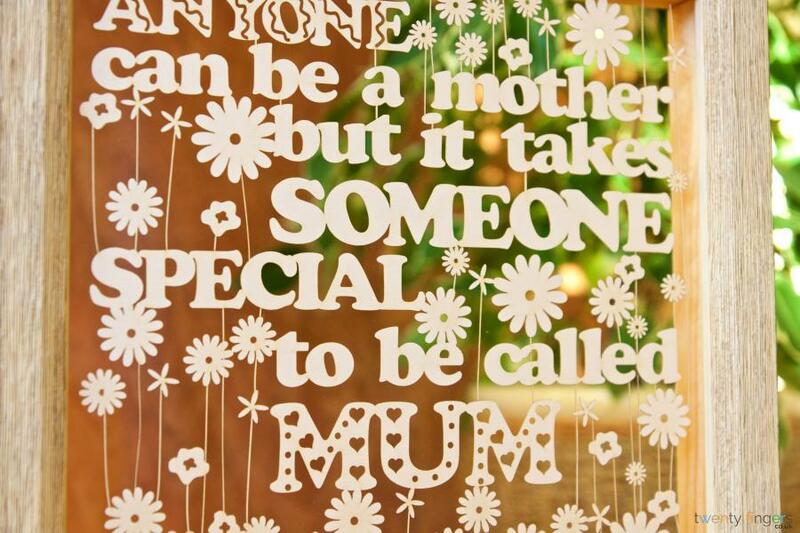 We know that when you give a present you want to gift them something that’s going to be remembered and we also know a good Mum is the most precious and important gift there is, so we created this gorgeous and unique artwork with those two things firmly in mind to make it a perfect gift for your mum’s birthday or for Mother’s day. Carefully crafted, the heartfelt text is adorned with graceful decoration and will make an excellent showpiece in a lounge, bedroom, entrance way or conservatory. Give this to your Mum and watch her face light up as she sees this beautiful tribute to her years of love and care – we’re think you’ll agree that kind of reaction is absolutely priceless. 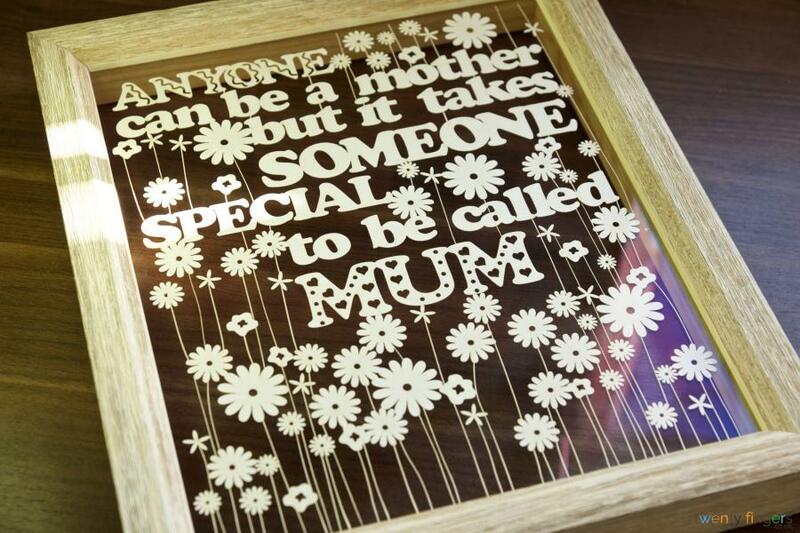 And you can even personalise your piece to guarantee you give her a really bespoke gift. 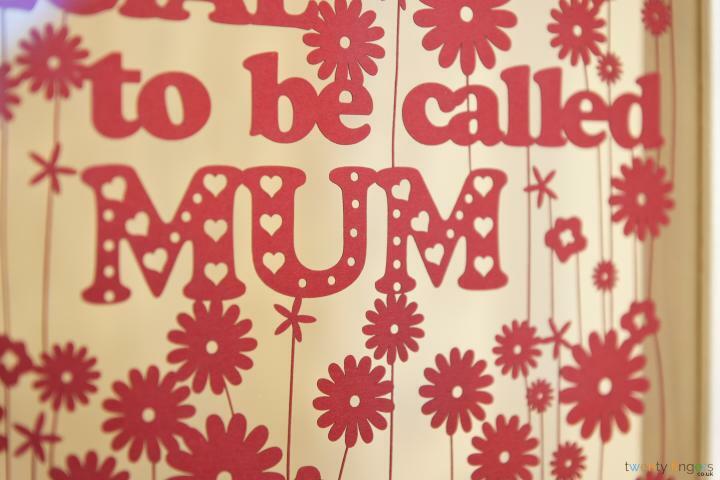 Simply select from our choice of shades and let us know the size and framing option you want too, then we’ll do the beautiful part – creating you a personalised papercut that is truly one of a kind – happy Mum guaranteed! Choose the frame (unless you want it unframed and will frame it yourself). You can select from white, black, ivory, walnut effect, or real unfinished. If you’re opting for one of our traditional style frames, remember to select the background colour you want too.